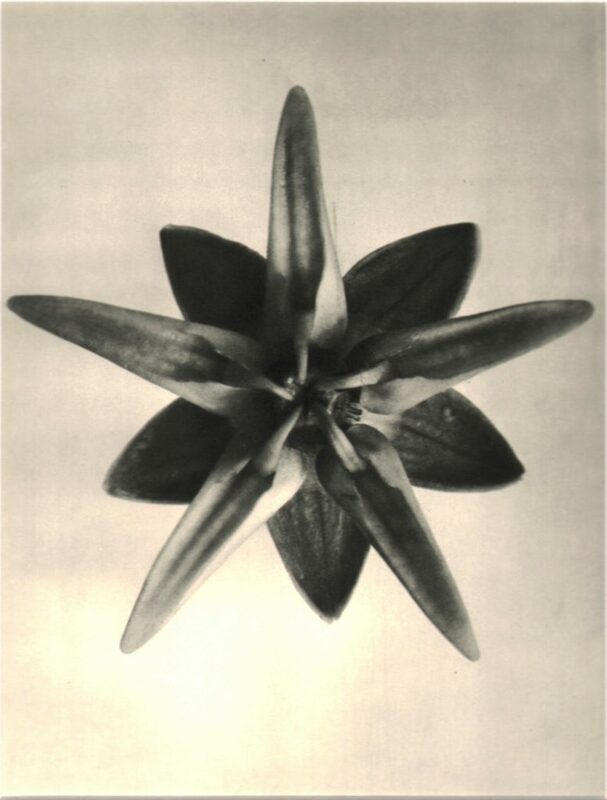 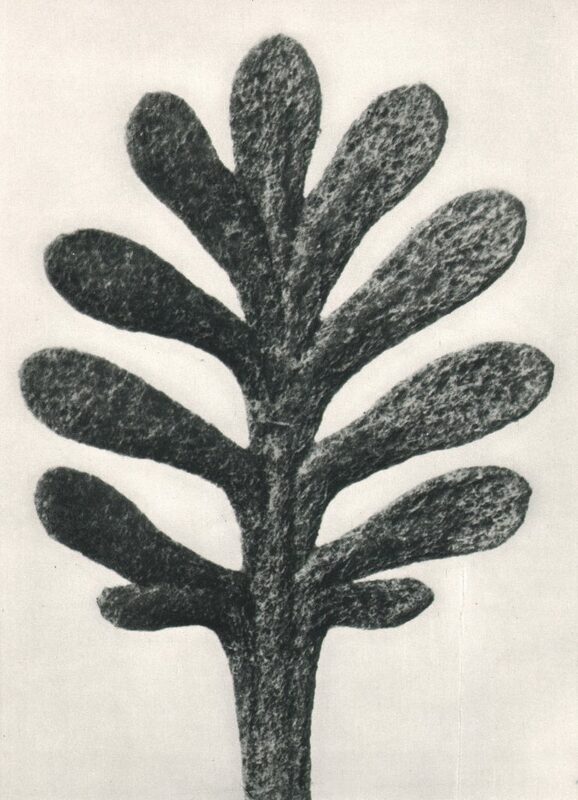 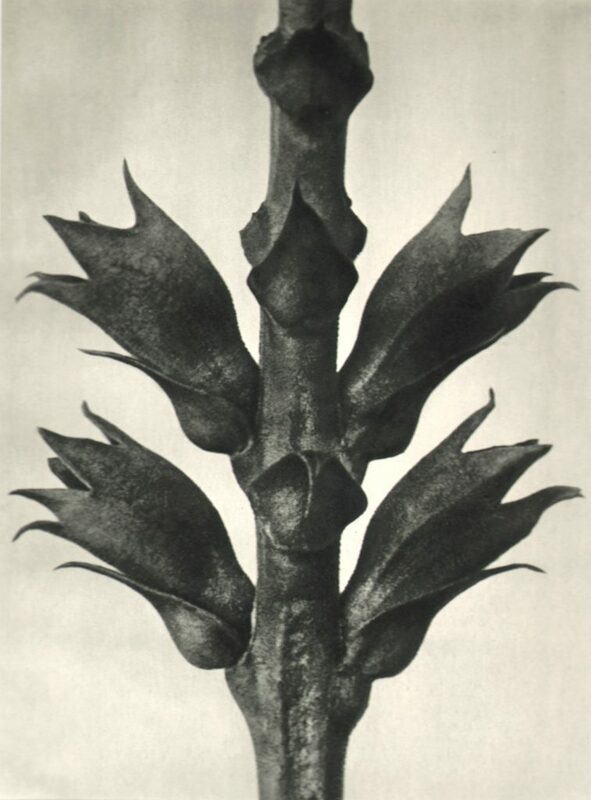 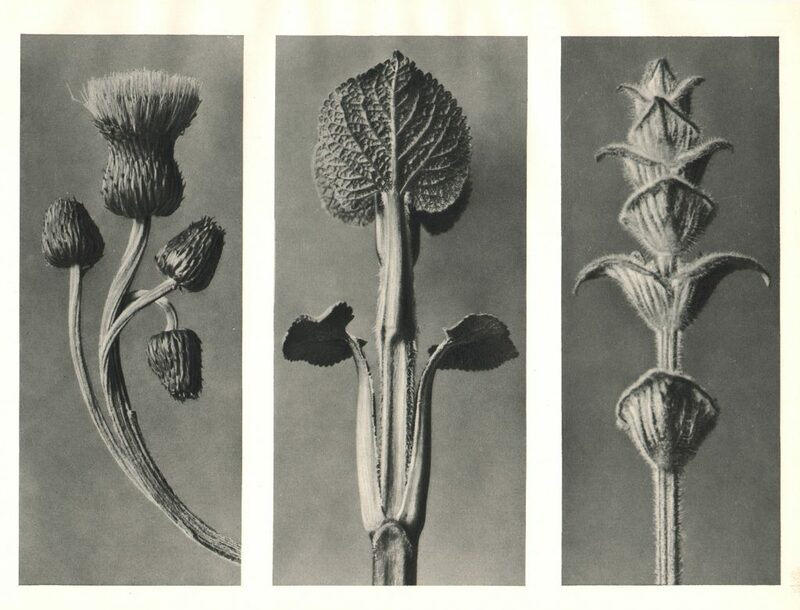 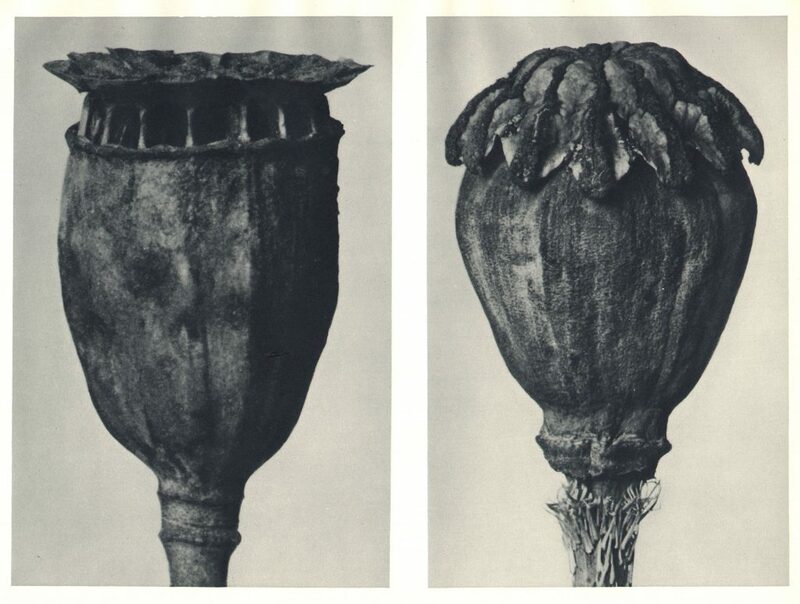 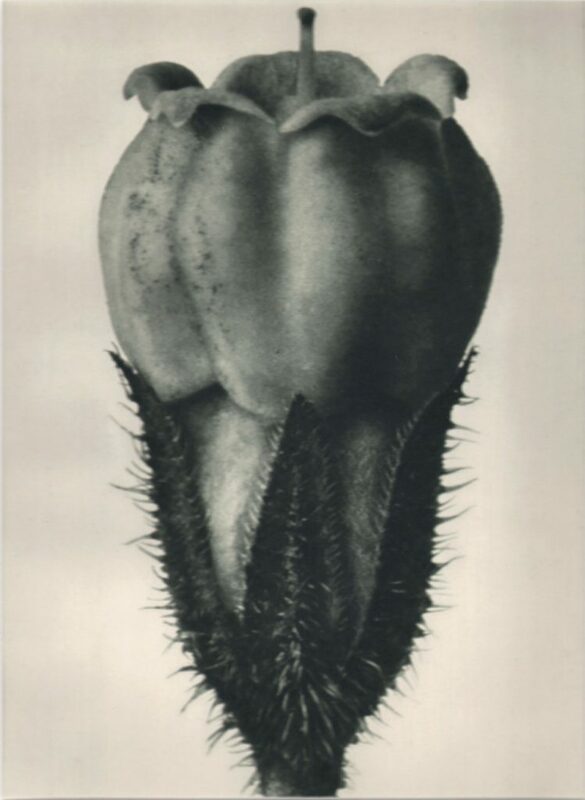 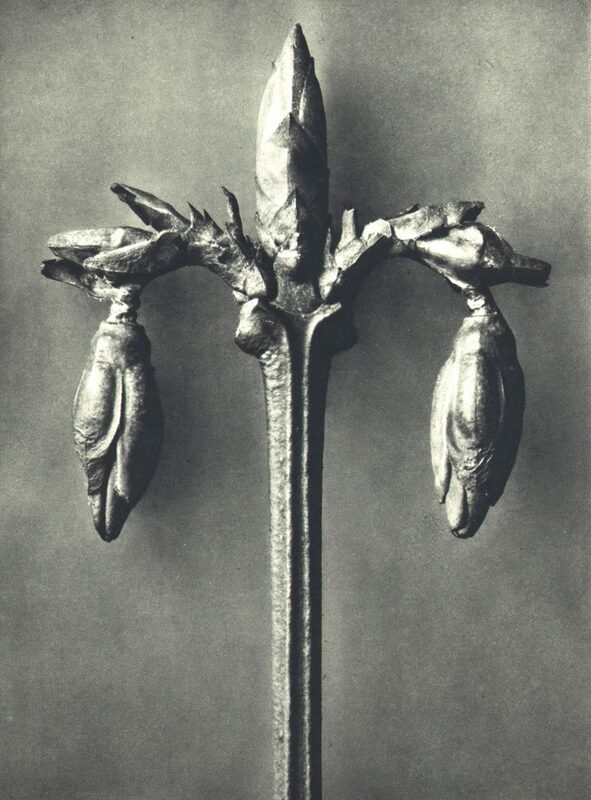 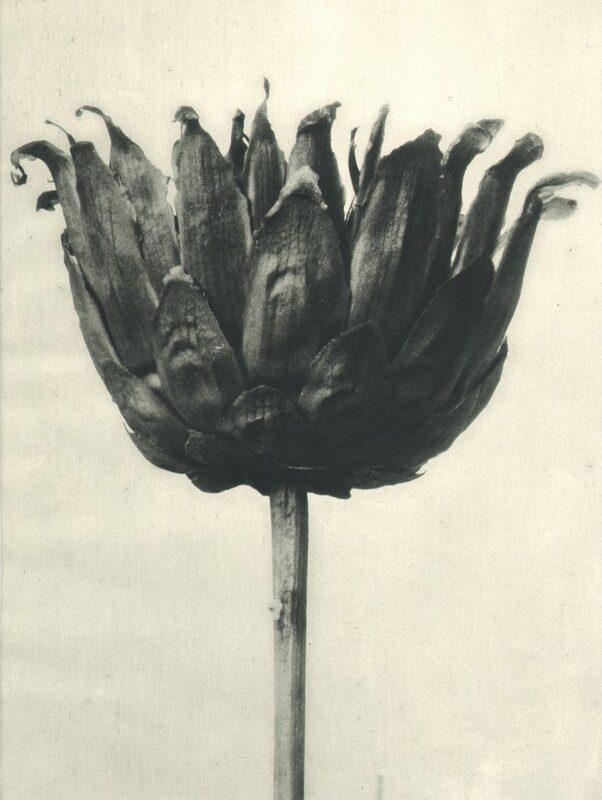 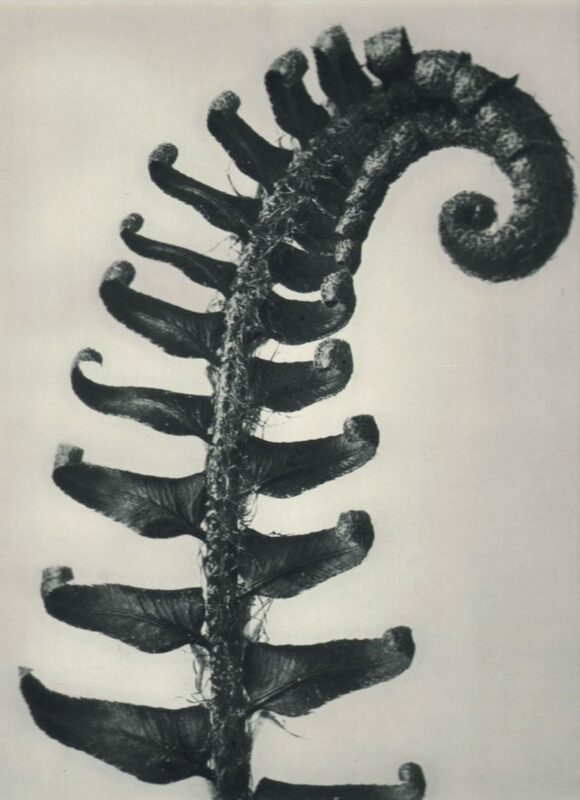 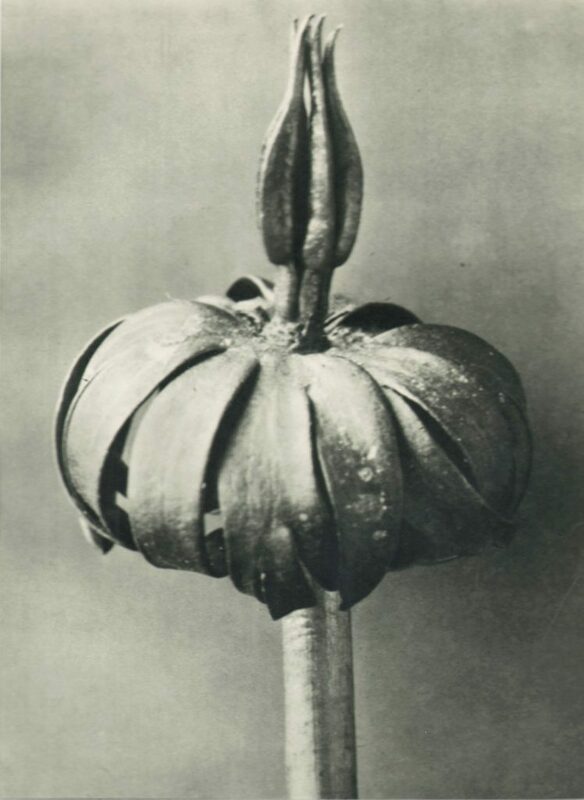 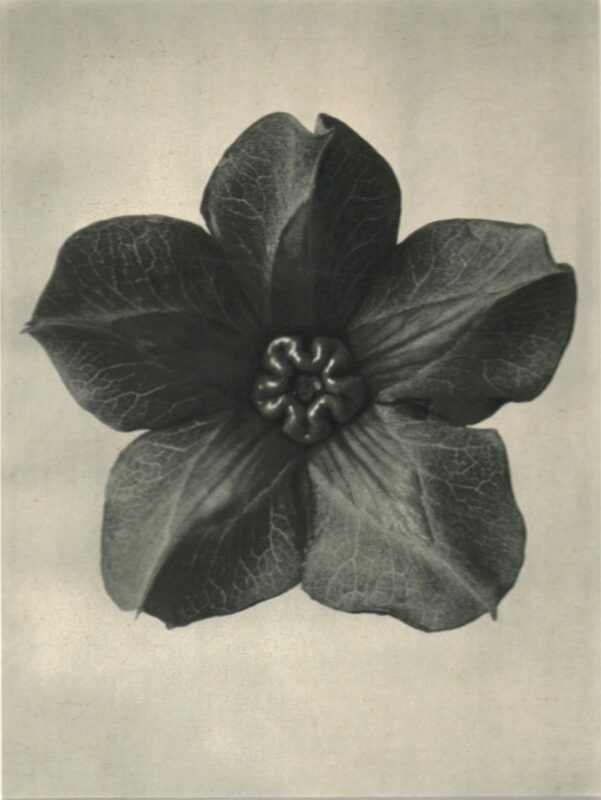 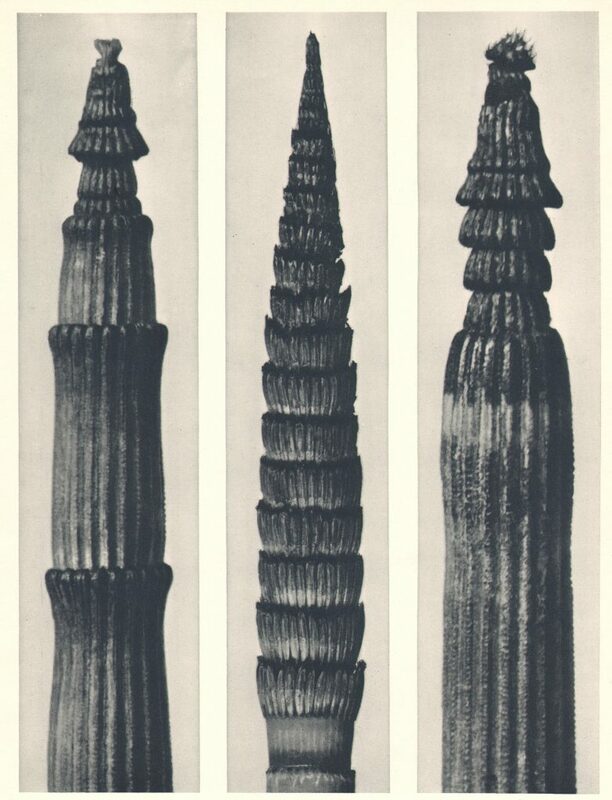 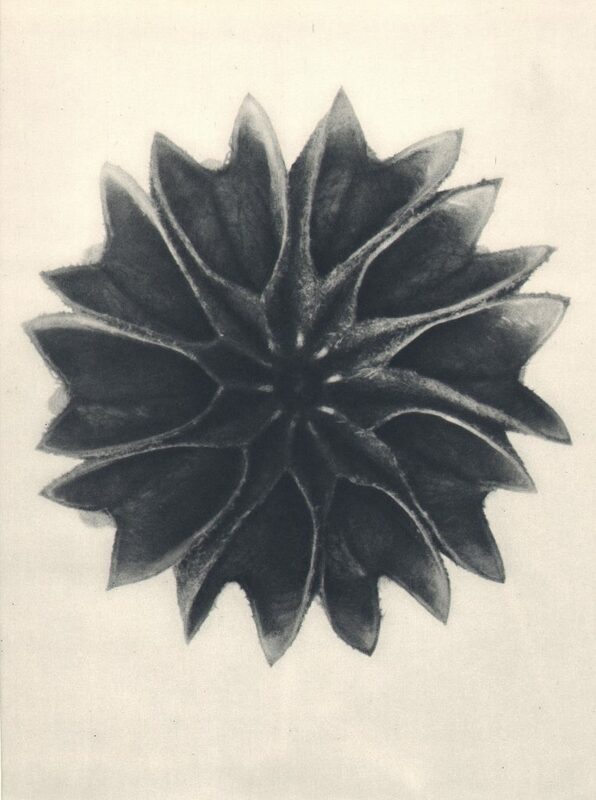 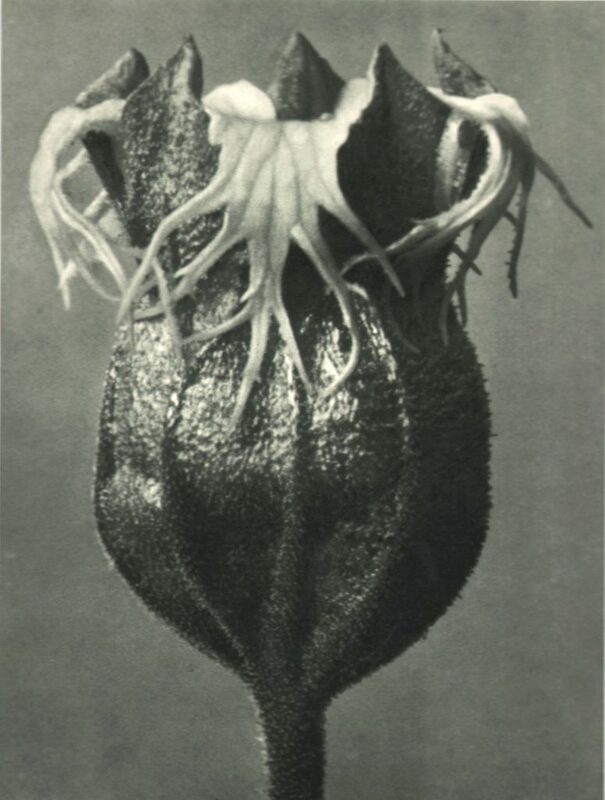 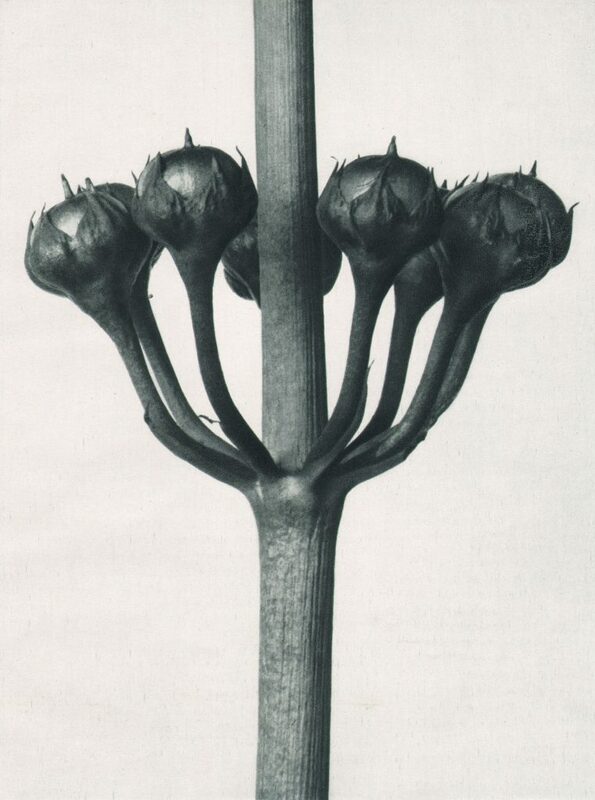 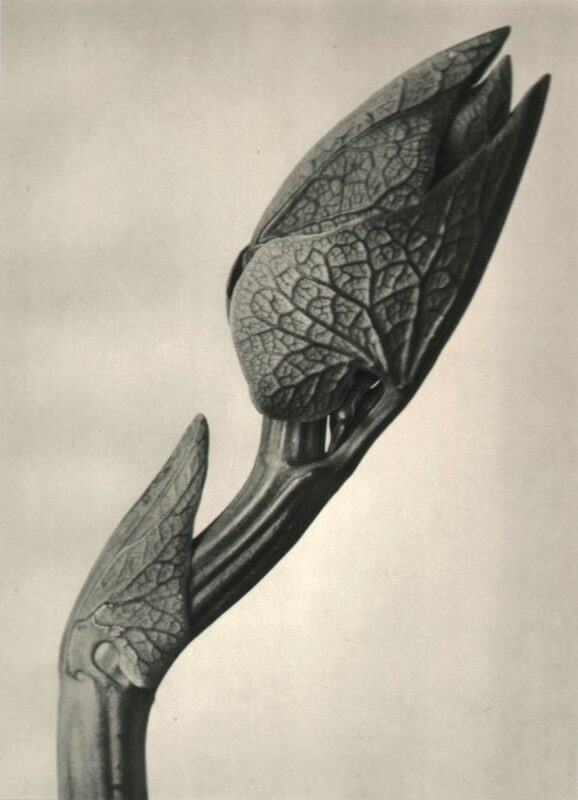 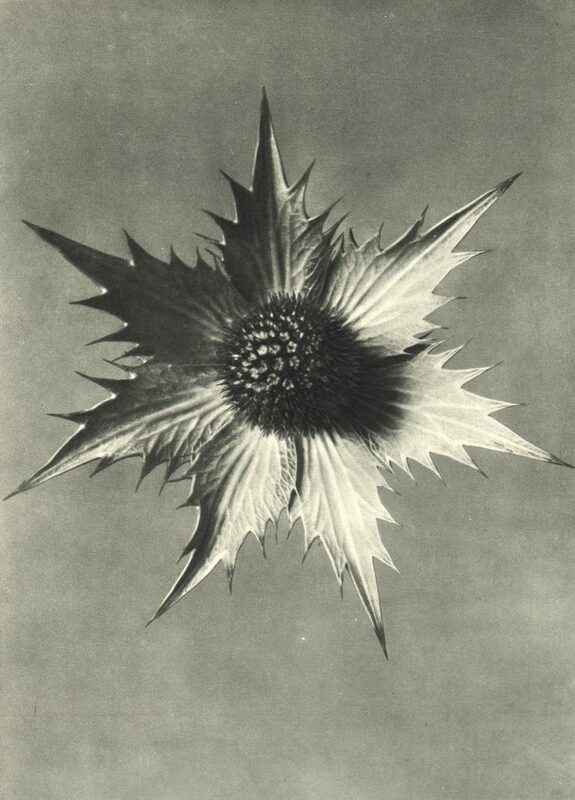 Karl Blossfeldt (1865 –1932) is best-known for his close-up photographs of plants published in 1929 as Urformen der Kunst. 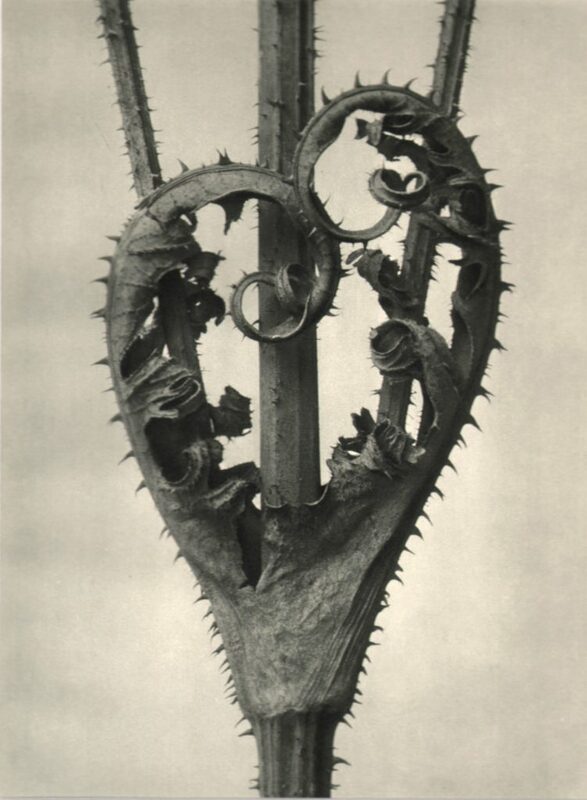 A photographer, sculptor, teacher and artist based in Berlin, Blossfeldt made a homemade camera that could magnifying the subject up to thirty times its size, revealing the natural structure of a plant – the repetitive patterns found in natural textures and forms. 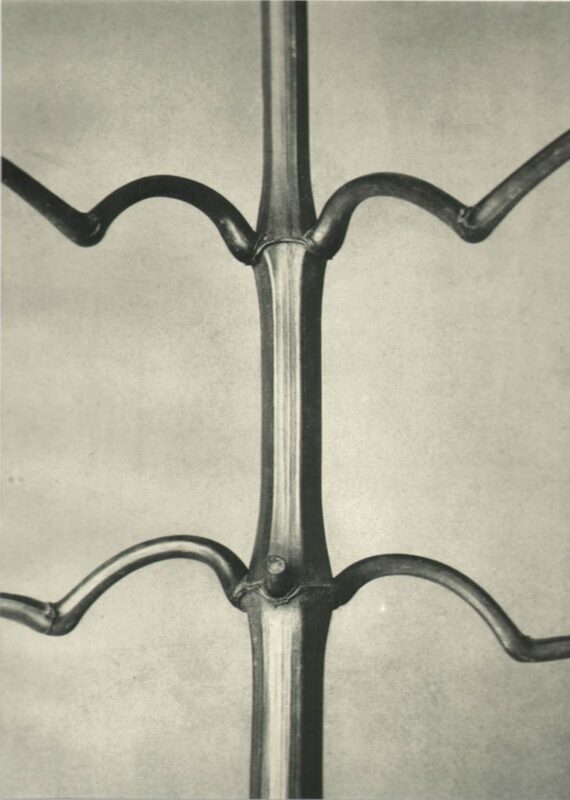 The resulting images were technically brilliant, artistically inspired and strikingly modernist. 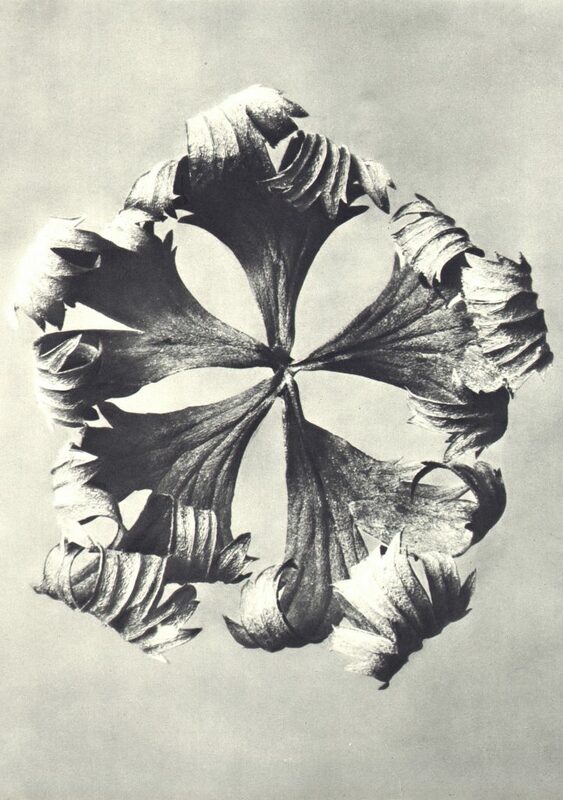 In 2001, Urformen der Kunst was included in the The Book of 101 Books, as one of the seminal photographic books of the twentieth century.